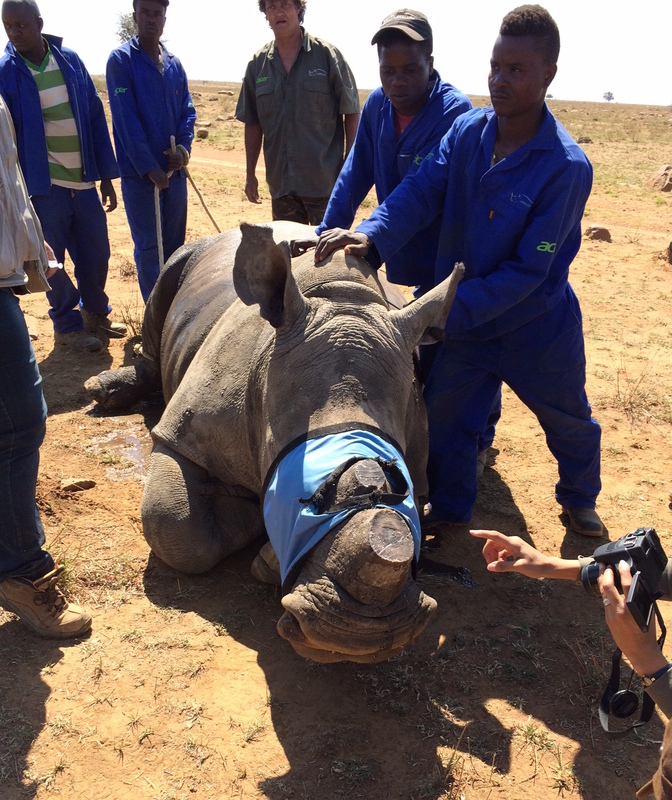 In late August and early September I traveled to South Africa and Swaziland to look at what’s being done to combat the rhino poaching crisis. My analysis is now online at National Geographic News. My most recent piece on the poaching crisis, “How China Could Decide the Future of Africa’s Elephants,” argues for regulated legal ivory trade as a means to engage with China in the elimination of trafficking in tusks. It’s just been posted on the National Geographic News Watch blog, A Voice for Elephants. Here’s the link. My latest article, “Rethinking Ivory,” appears in the Summer 2013 issue of World Policy Journal, and is now available online. It challenges the conventional wisdom on the ivory trade and argues that a well-regulated commerce in tusks could offer a realistic way forward for elephant conservation. Elephant poaching has been much discussed recently in global media, and at the just-concluding CITES conference in Bangkok, for good reason — elephant killings are at an alarming high. I was interviewed by Chris Cummins on Austrian Broadcasting Corporation’s radio station FM4, which has an English language news magazine program called “Reality Check.” The piece is “The Ivory Wars,” and I’m included in the 15 minute podcast (starting at 12:30 minutes into it), and also in the story that accompanied it. Click here for the podcast/story, which covers the crisis, and what might be done to address it. 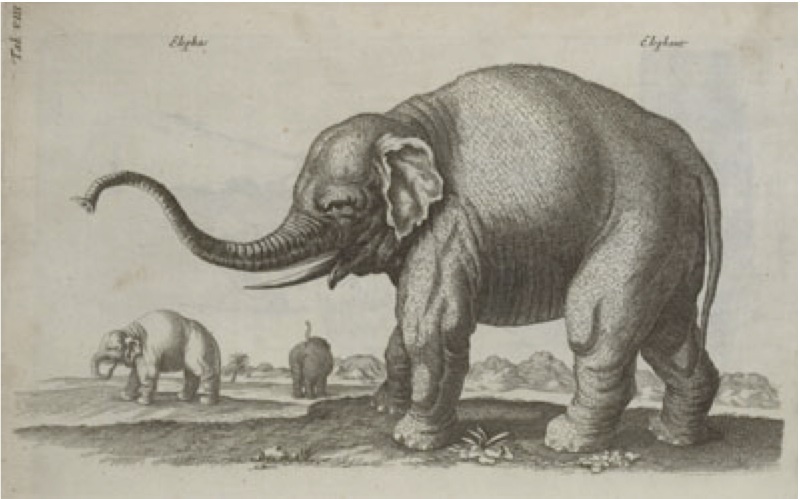 Rethinking Ivory: An Exchange with Wasser, et al. THE POLICY FORUM BY S. WASSER ET AL. (“Elephants, ivory, and trade,” 12 March, p. 1331) overlooks several points that bear on the issue of whether the Convention on International Trade in Endangered Species (CITES) should allow legal ivory sales. There is no proof that the elephant population is dropping. The two citations given offer no clear evidence. The IUCN Red List categorizes Loxodonta africana as “vulnerable,” below two levels of higher threat, and its population trend is described as “increasing” (1). We agree with the statement that “most of Africa lacks adequate controls for protection of elephants,” but rather than target legal ivory sales, CITES should take steps to increase anti-poaching and trade enforcement. Legal ivory sales have not been shown to stimulate poaching (2–4), despite widespread media claims that link the two. Focus on this issue takes attention away from other factors that drive illegal killings, such as unregulated domestic markets, ivory demand, corruption, and human-elephant conflict. Wasser et al. state that “[i]n the absence of data, precautionary principles should be applied.” Yet precautionary principles can be manipulated to suit one’s purposes. The authors assume that a legal trade might lead to irreversible elephant losses. What if the assumption were the opposite—that not allowing trade would lead to increased poaching? This scenario is hardly far-fetched. In the absence of legal supply, ivory demand will inevitably be met by killing elephants illegally. The authors state, accurately, that “oneoff” sales introduce uncertainty into the market place, but they do not acknowledge that there is another way to reduce uncertainty other than having no sales: Allow a regular, annually recurrent sale to settle the markets, reduce prices, and lower motivation to poach and buy illegal ivory. We believe that both no sales and “oneoff” sales are harmful for elephant conservation and, given suff cient institutional support and political will, a normalized legal ivory trade would save elephant lives. 1Kent, CT 06757, USA. 2Diani Beach, 80401, Kenya. 1. The IUCN Red List of Threatened Species, Loxodonta Africana (www.iucnredlist.org/apps/redlist/details/12392/0). 2. D. Stiles, Environ. Conserv. 34, 309 (2004). 3. E. Bulte, R. Damania, G. van Kooten, J. Wildlife Manage. 71, 613 (2007). 4. T. Milliken, R. W. Burn, L. Sangalakula, The Elephant Trade Information System (ETIS) and the Illicit Trade in Ivory (CoP15, Doc. 44.1, TRAFFIC, Cambridge, MA, 2009); http://www.cites.org/eng/cop/15/doc/E15-44-01A.pdf. WALKER AND STILES ARGUE THAT ELEPHANT populations are not declining. The facts say otherwise. Loxodonta africana numbers have plummeted by more than 50% continent-wide in the past 40 years, a reduction now compounded by increases in range loss, confl ict with humans, and resurgence in poaching (1). Illegal killing from 2000 to 2007 was highest in central Africa (63% of carcasses were illegally killed) followed by eastern (57%), western (33%), and southern Africa (19%) (2). Poaching reduced one of the Democratic Republic of the Congo’s (DRC’s) largest populations of forest elephants by nearly half between 1996 and 2006 (3). Elephant populations in Chad and Central African Republic declined by more than 80% in the past 5 and 20 years, respectively (4, 5). The Selous Game Reserve population in Tanzania has declined by 30% since 2006, amidst escalated poaching (2, 6). Because average tusk size has progressively decreased over the past three decades (7, 8), more elephants must be killed for the same volume of ivory; this has accelerated the trend toward population collapse. Walker and Stiles next argue that legal trade does not increase illegal trade, and CITES should focus on enforcement instead of targeting legal trade. We disagree. The appeal of the market mechanism for managing wildlife stocks presumes well-functioning institutions with unambiguous ownership of the stocks. Chronic problems such as poaching, corruption, and inadequate regulation and enforcement capacity show that this assumption is false. The problem will be exacerbated if CITES’ promotion of legal trade increases illegal trade by signaling an opening market. The ETIS (9) report to CITES rejected such a relationship for the first one-off ivory sale in 1999 but acknowledged that illegal ivory trade increased substantially in 2009 after the 2008 sale. The Elephant Trade Information System (ETIS) analysis used adjusted amounts of seizures that markedly differed from unadjusted values, incorporated a smoothing technique that blunted peaks and troughs, and excluded a major increase in poaching in DRC during 2004 (10). This obscured a recurring pattern where each proposal for one-off ivory sales appears to have instigated a rise in poaching. Walker and Stiles believe that a regular, legal trade should be established and enforced. We are not suggesting that legal sales will always lead to irreversible losses, but rather that illegal trade currently is too uncontrolled to justify the risk. When the distinction between legal and illegal ivory is uncertain, increasing the legal supply raises the probability that more ivory will be provided through illegal trade. Illegal dealers will see an expanding market due to increased allowable trade, and will endeavor to maintain their share of that market. Moreover, growing demand for ivory will outstrip any potential sustainable legal supply given increasing purchasing power of Asian consumers and limited maximum growth rates of elephant populations, particularly when poaching is already mining populations of progressively younger individuals. If seizures are assumed to represent ≤10% of ivory shipped (11), the average 19,000 kg of annual ivory seizures over the past decade (9) would require 190,000 kg of “legal” ivory sold annually just to meet levels of demand presently supplied through illegal trade. We contend that any legal trade at this time is an untenable risk that complicates law enforcement and distracts from the need to reduce demand. Although reducing demand is possible, elephants could be seriously depleted in the interim because (i) verified natural mortality and controlled culls are insufficient to meet current demand; (ii) proceeds from ivory sales cannot be guaranteed to return to local communities as incentive for in situ conservation; and (iii) education campaigns are finding it difficult to suppress the growing desire and purchasing power for luxury goods in end-user countries. Analogous arguments apply to most other trade species, including sharks, blue fin tuna, polar bears, and corals. CITES should therefore reset its priorities, more explicitly apply the precautionary principle, and insist upon open data access and peer review. Only then will it ensure the long-term viability of species and trade. 1University of Washington, Seattle, WA 98195, USA. 2Princeton University, Princeton, NJ 08540, USA. Project, Kinshasa, Democratic Republic of the Congo. Canada. 7University of Stirling, Stirling K94LA, UK. 1. J. J. Blanc et al., African Elephant Status Report 2007(IUCN, Gland, Switzerland, 2007). 2. CITES, “Monitoring of illegal hunting in elephant range states” (CoP15, Doc. 44.2, 2009); http://www.cites.org/eng/ cop/15/doc/E15-44-02.pdf. 3. R. Beyers, thesis, University of British Columbia, Vancouver, BC (2008); https://circle.ubc.ca/handle/2429/960. 4. P. Bouché et al., Afr. J. Ecol., 10.1111/j.1365-2028.2009.01202.x (23 December 2009). 5. D. Potgieter, N. Taloua, B. Djimet, M. Fay, L. Holm, Dry Season Aerial Total Count, Zakouma National Park, Chad 4–8 March 2009 (Wildlife Conservation Society Technical Report, 2009). 6. CITES, “Report of the Panel regarding the proposal of the United Republic of Tanzania” (CoP15 Doc. 68 A6a); http://www.cites.org/eng/cop/15/doc/E15-68A06a).pdf. 7. E. J. Millner-Gulland, J. R. Beddington, Proc. R. Soc. London Ser. B 252, 29 (1993). 8. CITES, “Report of the Panel regarding the proposal of Zambia” (CoP15 Doc. 68 A6b); http://www.cites.org/eng/cop/15/doc/E15-68A06b).pdf. 9. T. Milliken, R. W. Burn, L. Sangalakula, The Elephant Trade Information System (ETIS) and the Illicit Trade in Ivory (CoP15, Doc. 44.1, TRAFFIC, Cambridge, MA, 2009); http://www.cites.org/eng/cop/15/doc/E15-44-01A.pdf. 10. C. A. Apobo, Rapport sur le Braconnage D’Eléphant et sur le Commerce de l’Ivoire dans et a la Périphérie de la Réserve de Faune à Okapis (RFO) Ituri, RDC (ICCN Report, Wildlife Conservation Society, Democratic Republic of Congo, 2004). 11. S. K. Wasser et al., Conserv. Biol. 22, 1065 (2008). The response of S. K. Wasser et al. to our Letter (“Consequences of legal ivory trade,” 25 June 2010, p.1633) is replete with factual errors and misrepresentations. They state we are incorrect when we held that Africa’s elephant population is not decreasing, changing the time frame from “recent” to “40 years” to make their point. The African Elephant Database and IUCN both indicate a continent-wide increase in recent years (1, 2), despite decreases in the areas Wasser et al. cite. They assert that market mechanisms will not control illegal trade because of poaching, corruption, etc. We disagree. It is the absence of legal trade that has led to increased poaching. If legal ivory were available at prices seen in the Convention on International Trade in Endangered Species (CITES)–approved southern Africa auctions (3), black market ivory traders would have no buyers, regardless of corruption and weak law enforcement. The 2009 Elephant Trade Information System (ETIS) report to CITES (4) did not acknowledge “that illegal ivory trade increased substantially in 2009 after the 2008 sale.” What increased was the volume of ivory seized, which we think was due to increased vigilance by the authorities in reaction to the upsurge in publicity associated with the CITES conference and proposed ivory sales by Zambia and Tanzania. Also, as the CITES Secretariat stated: “indications from some recent seizures suggest that some of the ivory may have been poached in the early 2000s. If accurate, this means that it came from elephants that were poached before the most recent legal trade occurred or was even authorized by the Conference of the Parties” (3). Wasser et al. assert that the ETIS report excluded a major increase in poaching in the Democratic Republic of Congo (DRC) in 2004 that would have revealed a recurring pattern of increased poaching being instigated by one-off legal ivory sales. The DRC report cited referred only to the Okapi Faunal Reserve, which suffers from rampant poaching of all wildlife due to a state of general anarchy. CITES decisions are of little motivational consequence to brigand militias and a lawless army. They state “that illegal trade currently is too uncontrolled to justify the risk [of allowing legal trade].” Obviously illegal trade is uncontrolled, which is why we argue for a controlled legal trade that will render illegal trade economically unviable. We do not think that allowing regulated sales of legal ivory will expand the market. It would only expand if demand increased, and demand has been declining almost everywhere since the 1990s (5–9). There appears to be rising demand in China, but no hard data support the contention. Wasser et al.’s observation that a growing ivory demand in Asia will outstrip the ability of elephant population growth to meet required supply applies to all ivory, not just legal. They assume that only 10% of illegal ivory is seized. The CITES Secretariat stated that it believes the 10% figure often quoted is too low (3). If 90% is getting through, why was no illegal African raw ivory found in recent ivory surveys of Thailand, Vietnam and Japan (10–12)? Also, to derive an ivory demand figure of 190 tons annually from ivory seizures alone is unjustified, and lacks all scientific credibility. They claim further that “education campaigns are finding it difficult to suppress the growing desire and purchasing power for luxury goods in end-user countries.” This is totally at variance with published peer-reviewed data that ivory demand in the great majority of countries has been falling in response to increased public awareness since 1990 (5–12). Education campaigns do work, and to suggest they do not is harmful to elephant conservation. Finally, we disagree with Wasser et al. that analogous arguments can be made with most other trade species. In those cases the organism must be killed to trade the product. It is not necessary to illegally kill an elephant to trade its tusks–unless tusks from natural and legally induced mortality are banned from trade. 1. J. J. Blanc et al., African Elephant Status Report 2007: An Update from the African Elephant Database (No. 33 IUCN/SSC AfESG, Gland, Switzerland, 2007), pp. 22–24. 2. The IUCN Red List of Threatened Species, Loxodonta africana (www.iucnredlist.org/apps/redlist/details/12392/0). 3. Monitoring of Illegal Trade in Ivory and other Elephant Specimens, CITES Secretariat, CoP15 Doc. 44.1 (Rev.1); http://www.cites.org/eng/cop/15/doc/E15-44-01.pdf. 4. T. Milliken, R. W. Burn, L. Sangalakula, The Elephant Trade Information System (ETIS) and the Illicit Trade in Ivory (CoP15, Doc. 44.1, TRAFFIC, East/Southern Africa, 2009); http://www.cites.org/common/cop/15/doc/E15-44-01A.pdf. 5. E. Martin, D. Stiles, The Ivory Markets of Africa (Save the Elephants, London, UK, 2000). 6. E. Martin, D. Stiles, The Ivory Markets of South and South East Asia (Save the Elephants, London, 2002). 7. E. Martin, D. Stiles, The Ivory Markets of East Asia (Save the Elephants, London, 2003). 8. E. Martin, D. Stiles, Ivory Markets of Europe (Care for the Wild International and Save the Elephants, London, 2005). 9. E. Martin, D. Stiles, Ivory Markets in the USA (Care for the Wild International, Kingsfold, UK and Save the Elephants, Nairobi and London, 2008). 10. D. Stiles, An Assessment of the Illegal Ivory Trade in Viet Nam (TRAFFIC Southeast Asia, Petaling Jaya, Selangor, Malaysia, 2008). 11. D. Stiles, The Elephant and Ivory Trade in Thailand (TRAFFIC Southeast Asia, Petaling Jaya, Selangor, Malaysia, 2009). 12. L. Vigne, E. Martin, Pachyderm 47, 46 (2010). CITES got it wrong on ivory sales—and elephants are the losers. The 15th Conference of Parties to the Convention on International Trade in Endangered Species, or CITES, ended March 25 in Doha, Qatar. For two weeks, 175 national delegations confered and clashed over plummeting bluefin tuna stocks, the status of polar bears, endangered Iranian newts and, once again, the elephant-sized shadow of the ivory trade. Ivory is an endlessly contentious conservation issue that just won’t go away. Recent elephant killings have spiralled sharply upwards, recalling the poaching crisis of the 1980s. That slaughter halved the continent’s population and led to the adoption of a ban on cross-border trade in ivory in 1989. Contrary to many media reports, the current continent-wide half-million-strong elephant population, although vunerable, is actually increasing—the losses to poachers are offset by burgeoning herds in southern Africa. Still, continued killings and a thriving illicit trade in tusks are stark evidence that the ivory ban hasn’t worked the way its advocates hoped. The red flag for animal advocates at CITES was the effort by Tanzania and Zambia to win approval to sell their government stockpiles of legal ivory. Such “one-off” ivory sales have happened only twice before, in 1999 and 2008, and raised $20 million for elephant conservation. Many observers said the two countries did not have a convincing case that their national herds were sufficiently well-managed to be “downlisted” to a less-threatened status which would allow regulated trade in their products. There were also concerns about the documentation of their stockpiles. As a result, their proposals went down to defeat. But that’s hardly reason to celebrate, as many animal groups have done. In fact, the fixation on preventing legal ivory sales distracts policy makers from coming to grips with the underlying causes of ivory poaching: Human desperation and poverty, corruption, underfunded and ineffective wildlife departments, and unregulated domestic ivory markets operating openly in many of the thirty-seven African elephant range states. 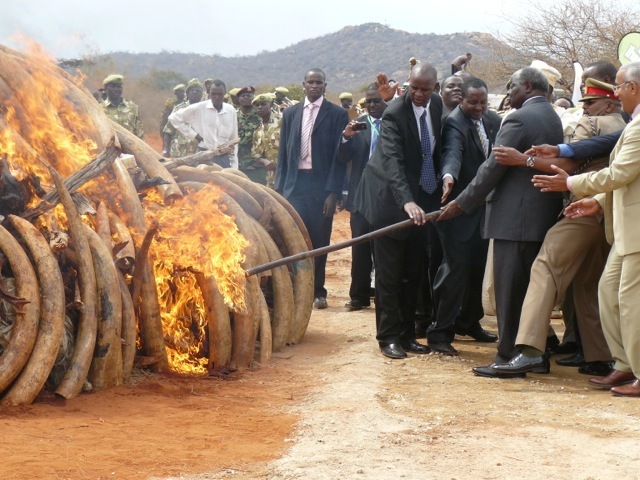 Animal advocates insist legal ivory sales stimulate poaching. It’s a claim that has been repeated so often that it’s widely accepted as fact, when it’s anything but. According to TRAFFIC, the joint IUCN/WWF wildlife trade monitoring network, illicit trade in ivory declined for five years after the 1999 sale of ivory to Japan. After that, illegal trade began to rise, and the trend was well underway before the 2008 ivory sale to China and Japan. Instead of lobbying at CITES for the imposition of a twenty-year moratorium on ivory exports backed by Kenya and Mali (which failed to gain support), animal advocates should have given serious consideration to how a consistent flow of ivory could actually help elephants. The real problem with one-off sales is that they can’t be counted on to happen, which makes the flow of ivory unpredictable. That keeps the black market and its elephant poaching gangs flourishing. You don’t need a degree in economics to grasp that annual or biennial sales of certified stocks could serve to undercut the illegal trade. In the 2008 sale, legal ivory sold for $75 a pound. 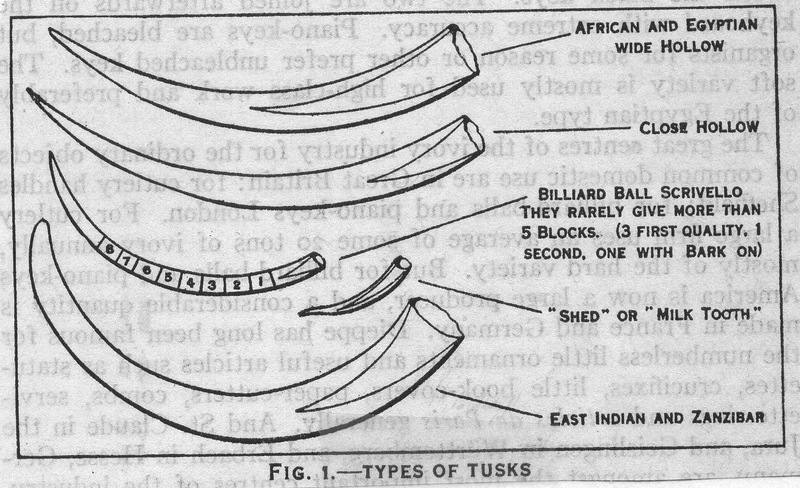 Contraband tusks sell for three to five times that amount. If the former were available, who would risk buying the latter—and for far more? Granted, it would take enormous effort and resources to reach the level of enforcement, certification, and international cooperation necessary to run a highly regulated legal ivory market, but it is the only way forward. Five years of research on the history of ivory has convinced me that it’s a fantasy to think that the age-old desire for this seductive carving material, valued globally since pre-history, will ever disappear. The key to converting ivory demand into something that helps elephants is utilizing the huge supply of gleaming tusks routinely recovered from the carcasses of elephants that die of natural causes. This guilt-free ivory is kept in vaults by African governments in the hope that someday their “white gold” can be sold. It’s estimated that up to a hundred tons of ivory supplied by the natural mortality of the continent’s elephants could be recovered yearly. That’s enough to supply the domestic ivory market in China and Japan, currently the only CITES-approved buyers, who’ve agreed not to re-export any ivory. Some insist it’s too soon to try reopening restricted trade in tusks and that in any case the elephants need a “reprieve” until highly threatened populations in some countries recover. But shutting off all legal flow ensures that pent-up demand can only be supplied by the black market. That will mean more, not less poaching. A strictly limited ivory sales system accessible only to countries with stable elephant populations could help underwrite a viable future for African elephants. It would be a powerful incentive to all range states to crack down on corruption and illegal killings and better protect their national herds. There was a lot a stake for elephants at this recent CITES meeting, and not many signs of bold thinking. Sadly, Africa will be left with even more elephant poaching, and growing piles of tusks that can’t be sold. The story could not be more timely. Read the entire article here. Matthew Wilkinson, who runs the website Safaritalk from his base in Portugal, interviewed me at length on ivory issues (click here for the complete interview). The site has a number of forums and blogs where people who share a passion for African wildlife conservation can engage in discussions with people in the field and find out about worthwhile projects—and how to support them. Ivory poaching is back, big time, and the Internet is awash with photos of bloodied tusks and elephant carcasses. In 2007, Kenyan wildlife officials counted 47 elephants killed by poachers. In 2008, the number jumped to 98. Estimates of the number of elephants now being poached across the African continent range as high as 37,000 a year. All this despite a ban on international trade in ivory that was enacted 20 years ago today. Why hasn’t the ivory ban been effective? Mostly because it doesn’t fit the reality of the situation. In 1989, anti-ivory campaigners were riding a wave of worldwide revulsion at poaching that had halved the African elephant population over the previous decade. They took their cause to CITES (the Convention on International Trade in Endangered Species of Wild Fauna and Flora), the U.N.-administered convention that governs trade in endangered species. At the 1989 Conference of Parties in Lausanne, Switzerland, member countries ended more than a week of heated debate on Oct. 17. On a vote of 76 for, 11 against, and four abstentions, the African elephant was put on the list of species considered threatened with extinction. Inclusion prohibits all cross-border trade. But there was a catch: Countries with well-managed populations could apply to CITES to have the status of their elephants declared to be less threatened. If they proved their case, they might be allowed to resume trade in ivory. Still, global trade in tusks had been banned, putting an end to the commerce that had been the curse of elephants for millennia. In the aftermath, elephant poaching in Africa declined. But then it grimly started climbing back, and today it is at disturbing levels, as recent seizures of huge amounts of poached ivory make clear. Some conservationists say the problem with the ban has been lack of enforcement. Many African countries with elephant populations have unregulated domestic markets at which items made from poached ivory can be purchased and then smuggled out of country. There’s little dispute that better policing is desperately needed. Other advocates point to CITES-permitted legal ivory sales as the ban’s major flaw. These sales have been authorized twice — most recently in late 2008, when Namibia, Botswana, Zimbabwe and South Africa were allowed to auction 100 tons of ivory collected from elephants that had died of natural causes. Those tusks went to Japan and China, which agreed not to re-export any ivory, and the $15 million raised went toward elephant conservation. Ivory trade opponents — including Kenya — have long argued that legitimizing any trade in ivory, no matter how tightly controlled, sends the wrong message to poaching rings and feeds the demand for ivory. But TRAFFIC, the joint World Wildlife Fund/International Union for Conservation of Nature wildlife trade monitoring network, says there’s no hard evidence that these sales lead to more poaching or increased illegal trade in ivory. Enforcement issues and potential ivory sales are sure to dominate the CITES conference in Doha, Qatar, in March, at which Tanzania, Zambia and Mozambique are expected to submit proposals to sell their ivory stockpiles — and set off alarmist media coverage. But what’s happening to elephants and their ivory is far more complex than the picture painted by most news organizations, which focus almost exclusively on elephant killings, giving the impression that these great creatures are being killed all over the continent. The truth is that ivory poaching is most widespread in African states saddled with civil wars and racked by humanitarian crises, riddled by corruption and lacking effective conservation — of which Congo is an all-too-ghastly example. By contrast, elephant numbers are increasing in the stable countries of southern Africa, where anti-poaching efforts have had some effect. Botswana has 130,000 elephants, nearly a quarter of the entire continental population. In South Africa’s Kruger National Park, officials have concluded they will have to turn to culling to keep their growing herds from altering the landscape of the New Jersey-sized refuge. Add in another inescapable fact: Tens of tons of gleaming tusks are recovered annually from elephants that die of natural causes in Africa’s parks and reserves. Not surprisingly, countries that are doing a good job of managing their elephant populations argue that they should be able to benefit from the sale of guilt-free tusks to raise badly needed funds for the conservation of their giants. That’s what the procedure for seeking an exemption to the ban and gaining permission to sell ivory stocks was supposed to address. The problem is that the possibility of these sales is revisited at every CITES conference, which means that legal buyers (currently, ivory traders and merchants in China and Japan) can never be certain of future supply. That keeps the black market alive, preventing legal ivory from undercutting illicit supplies and crippling organized poaching. It’s estimated that 100 tons of ivory could be supplied each year from the natural mortality of Africa’s elephants, an amount likely to meet Asian demand for this long-revered carving material. A tightly controlled but steady stream of legal ivory from countries with protected herds, coupled with strict policing of domestic African ivory markets, may sound like an unholy coupling of conservation policies — but it just might work. Through almost all of human history elephants have been regarded as mere bearers of treasure; now we find them far more important than the ivory they carry. That’s why the ivory ban came into being 20 years ago, and why the international community will never return to a completely unregulated ivory trade. But if the ban’s limitations aren’t addressed, its provisions strengthened — and new ideas incorporated — we’ll end up facing another 20 years of poaching, ivory trafficking and elephant killings.